Being bereaved can leave you with a whole range of emotions. You may feel paralysed; you may feel angry; you will almost certainly feel sad. This book is a practical guide to looking after yourself while you are mourning the loss of someone, with sections on funerals, continuing to function, staying healthy, dealing with emotions and remembering the person who has died. 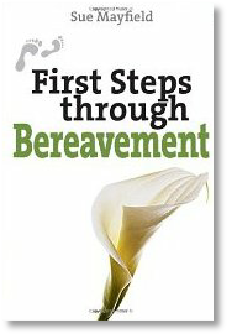 It includes advice for relatives and friends supporting others who have been bereaved.